A very big thank you for producing and installing such an excellent piece of work. I shall certainly be recommending you to my friends. 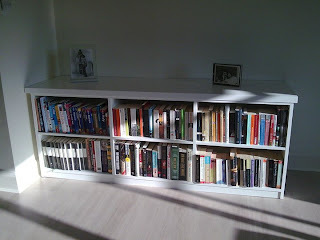 My house is feeling so much more like home, now that I have m favourite things around me. Small family-run business delivers great service again! "I am sorry if I was a bit of a pain. I should have had faith in your experience and knowledge. You were very patient. The shelves look great. 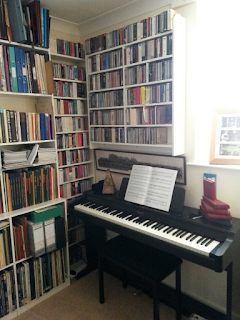 I had a lovely time moving all the books around, and fitting them all in. I hope you have a busy new year. It is good to know that we still have a few small, family-run businesses that know how to deliver great customer service." Miss E. McC., Barkingside, IG6. 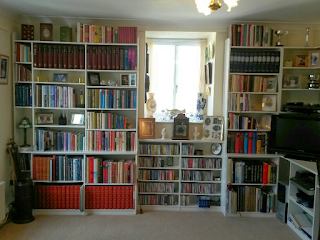 "This is just to say how pleased we are with our sixth bookcase - it completes the refurbishment of our house. 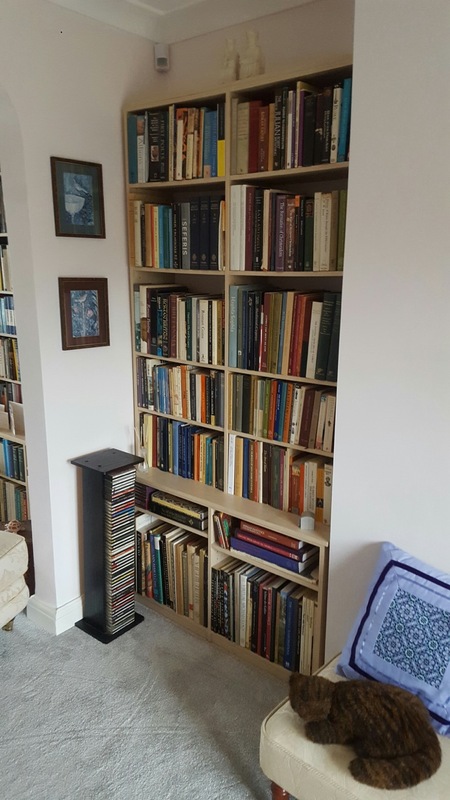 With the run of bookcases in the alcoves and bay window in our sitting room, we can accommodate our book collection most elegantly. 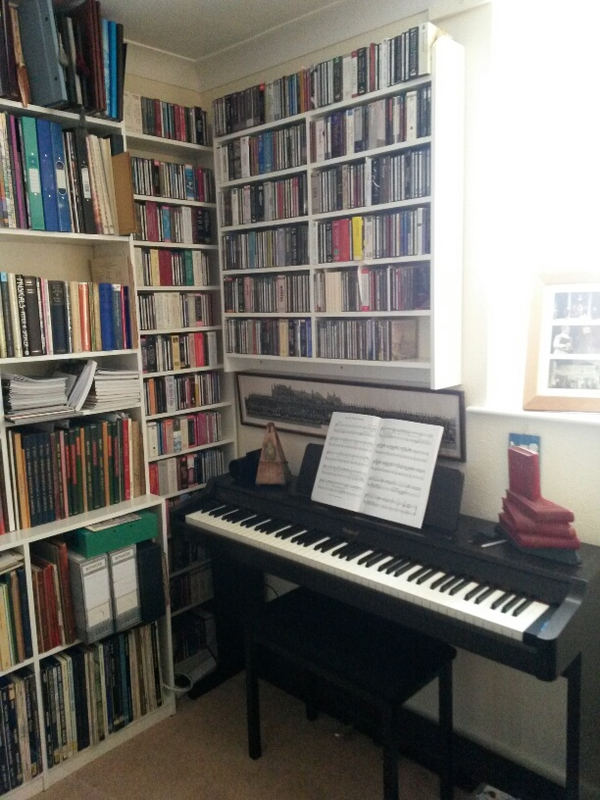 The flexibility of being able to adjust the height of each shelf for all our various sizes of books, is what does it for us! The whole installation has been much admired. 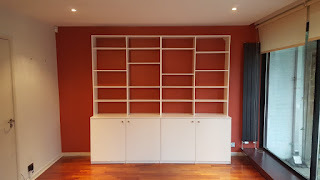 Thank for doing the fitting so quickly, efficiently and tidily." Just to say thank you! 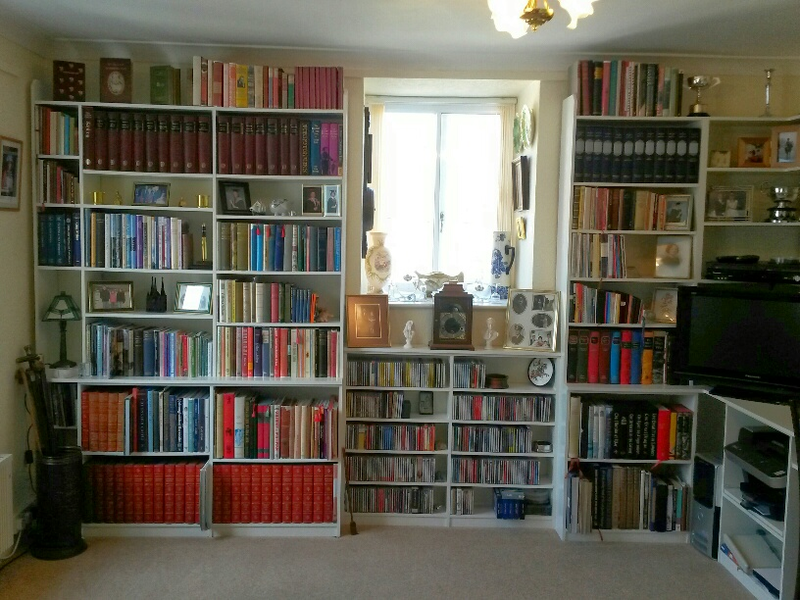 The shelves look fabulous, and finally all our books are unpacked and in one place. We're so grateful for your help with getting this project completed. I'm sure you'll agree it looks amazing! 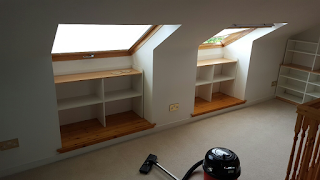 Just a quick note to thank you for the wonderful fitted shelving that you installed yesterday. The end result looks better than I could have imagined and the value of the suggestions you made at the planning stage are clear. Dealing with Shelvex has been a pleasure from start to finish. 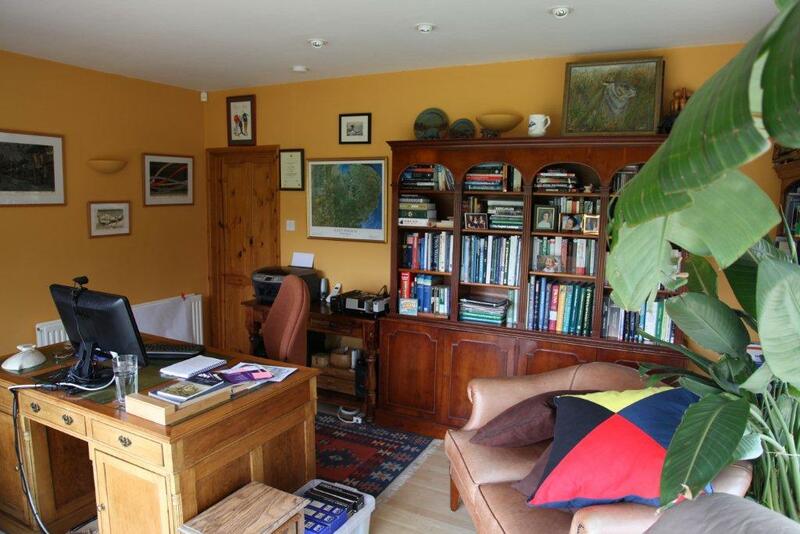 "I am writing to say how pleased I am with the home study you recently fitted for me. The customer experience, which Shelvex provided for me was first class, from start to finish. You and your colleagues couldn’t have been more helpful, and I felt you were on my wavelength right from the start. Your colleague was a terrific ambassador. 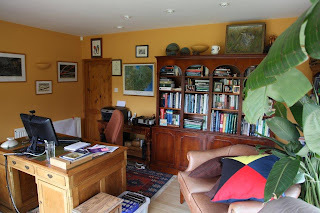 He let me know when he arrived in Dundee, he arrived precisely at the time he predicted, and he worked hard, efficiently and effectively to put together my new study – which looks great! It is more than matching my expectations. Thank you for all your efforts; they are very much appreciated. "I enclose photos of the excellent work you completed for me, now that the shelving arrangement is filled. All installed in one day, four weeks from your planning visit, and less than half the cost of the other quotes - no wonder I am delighted! 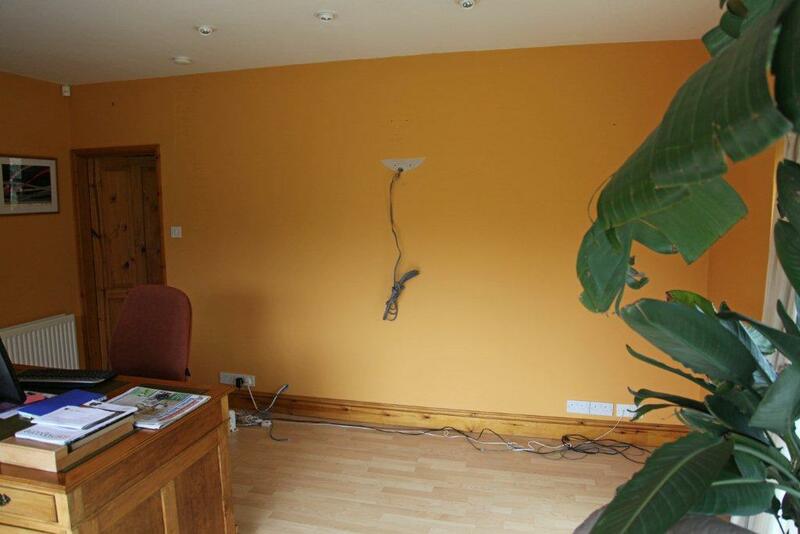 Be assured that I will recommend you very highly." 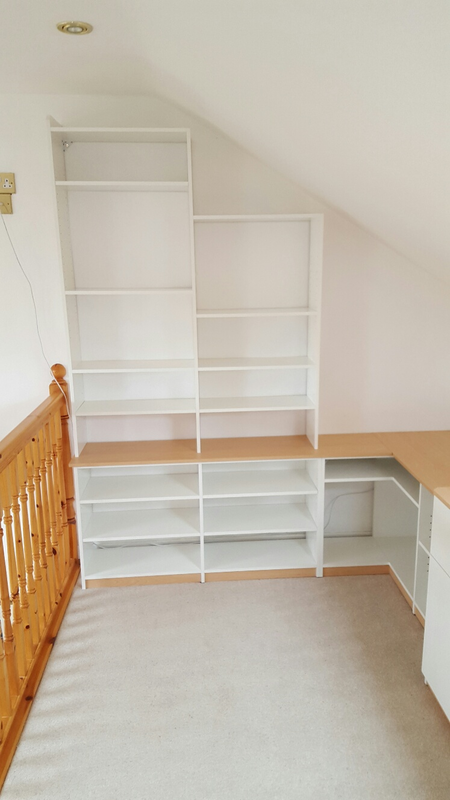 " Just a quick note to thank you for the wonderful fitted shelving that you installed yesterday. The end result looks better than I could have imagined. The value of the suggestions you made at the planning stage are clear. Dealing with Shelvex has been a pleasure from start to finish. Ever wished you could find that book? How satisfying to be able to go to your 'library' and find that exact book you were looking for! We help you to design shelving arrangements, however small or large, that can house, and importantly, display your books. So why not give us a call on 01628 522476 to see if we can help. We recently designed, manufactured and installed some shelving for a kitchen, that has neatly housed and displayed recipe books, and created a wine rack to efficiently store their substantial wine collection! 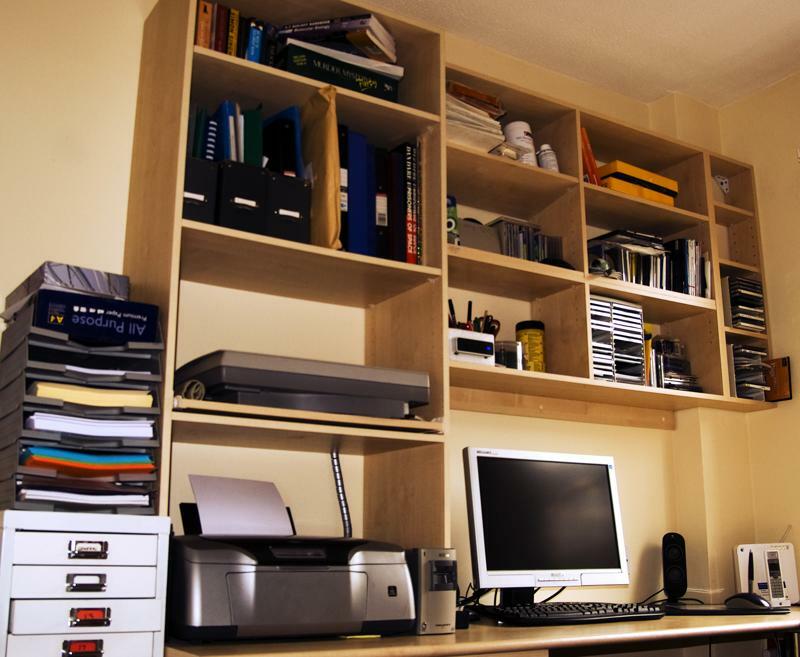 This arrangement fitted neatly in to a small space, transforming it to allow the owner to work comfortably from home. 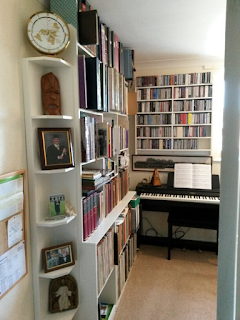 "I am delighted with the new shelving and cupboards to add to those you made in 2007. 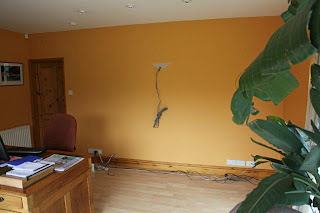 Your 'installer' worked expertly and efficiently, and had everything done on time. Now that I have put everything in place, I have a lot more shelf space in the living room. 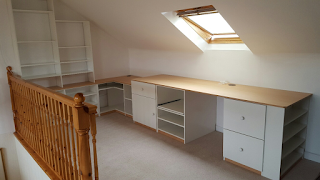 Thank you again for the excellent design, and the whole of your professional service." 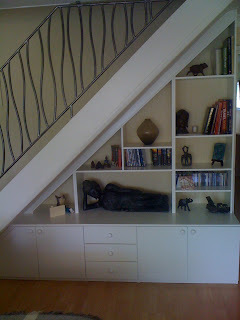 Shelvex Shelving Furniture Helps Sort Out Again! 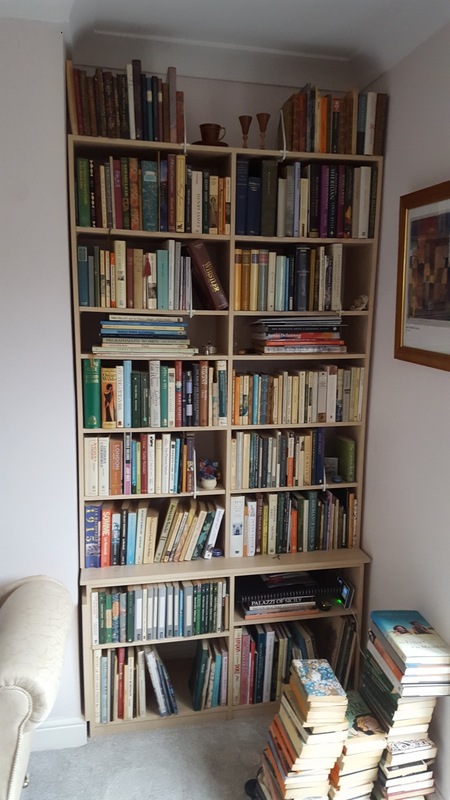 Thank you so much for helping us to create our library - it is fantastic, and we still haven't quite finished sorting all our books. A conversation with a customer recently reminded us how we help our customers make use of space in their homes, converting, for example, space under their stairs in to a study, or making a library our of a space between a door and a window. 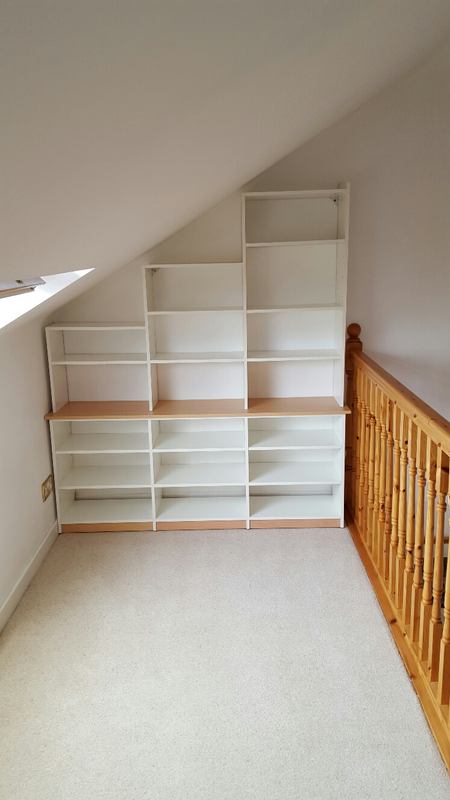 This ability to provide bespoke shelving to match existing decor is also what draws our customers back to us time and again. "Shelvex did us proud. 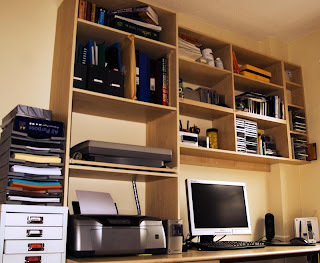 They lined up one wall with moveable shelves, and constructed two desks with shelves and spaces for computers. All came out looking exactly as in the advertisement in the newspaper colour supplement that had made us contact Shelvex in the first place. The plans were drawn up during one visit to our apartment, and a few weeks later, the shelving was constructed in the apartment in a few hours. 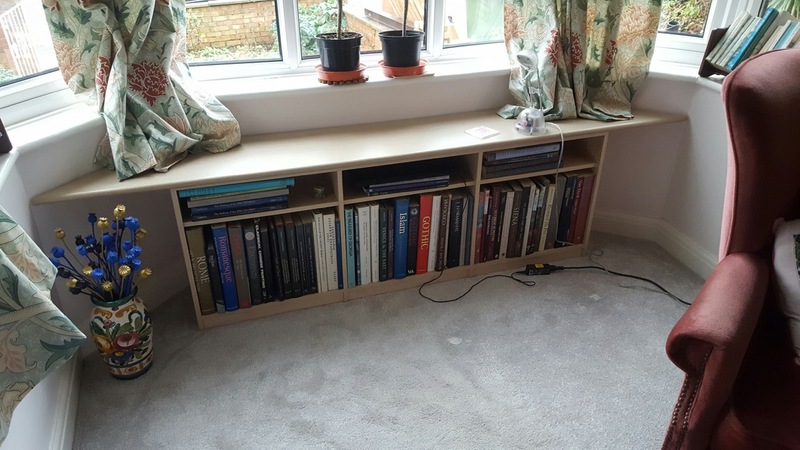 The shelves are ingeniously help up by movable supports, so that they can be adjusted to accommodate various sized books or ornaments or files as needed. 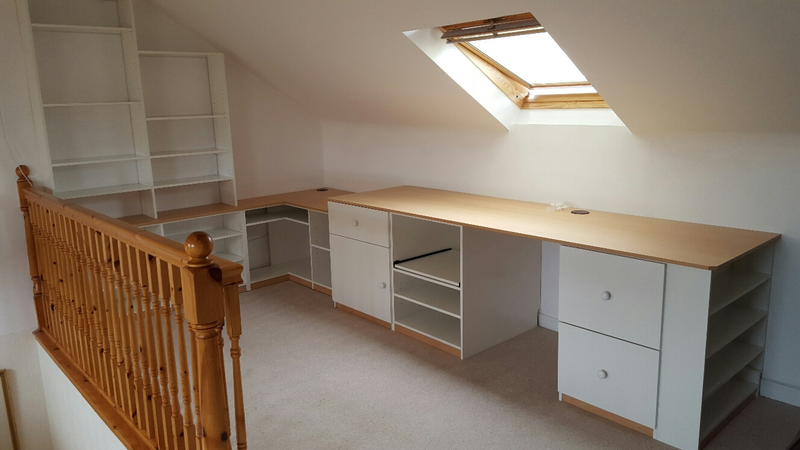 Our space is well used now, and we are very pleased with the appearance, as well as the service we received." 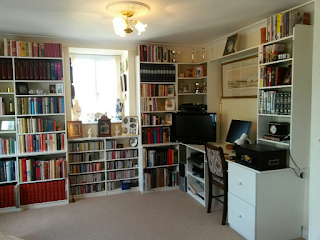 "The bookshelves recently supplied and fitted are totally as planned, and very satisfactory. We could not have had better advice and service. Many of our friends are impressed." "We've used Shelvex twice and been happy both times. 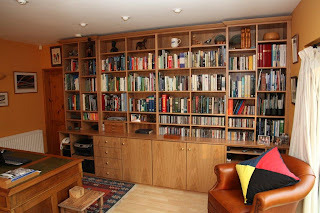 They shelved one big alcove and then came back eighteen months later to do a smaller one in a matching style and finish. They understood our ideas and on the day worked quickly, efficiently, tidied up and were always polite." 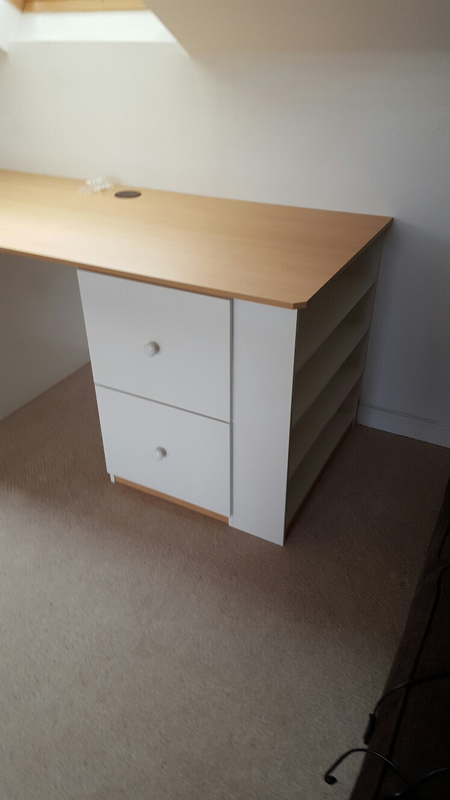 "Thank you for sending me, free of charge, the extra shelf support pegs that I requested for my shelving. I am very impressed to receive such good customer service, having had my shelving originally supplied and fitted by Shelvex over 12 years ago." "Thank you so much for the excellent installation. 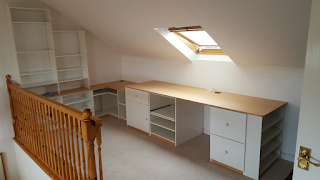 Your craftsmen were extremely professional and are a credit to your company. We will be looking to ask you to do an installation on the top landing next Spring." 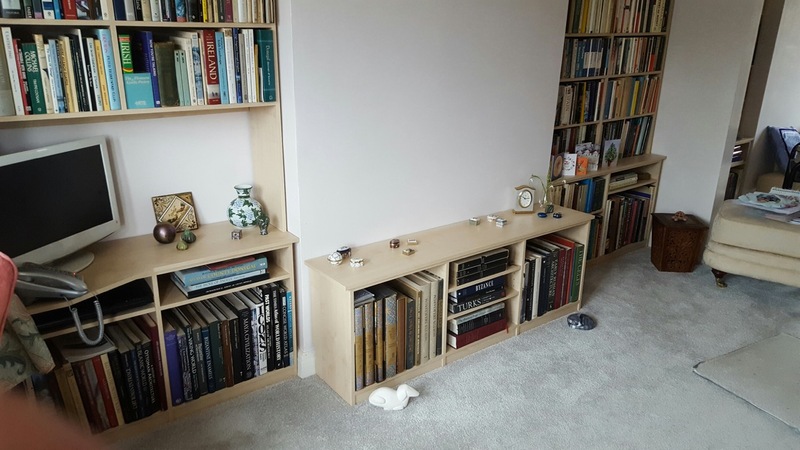 For over 40 years, Shelvex has been providing its customers not only with shelving arrangements that solve storage problems aesthetically and transform spaces/rooms, but also with an exceptional service to its customers. It is this service that keeps our customers coming back to us. So what do we mean by service? In the first phone call, we provide personal advice on the type of shelving arrangement that might best suit your needs, and, of course, we give you an idea of the costing to ensure that it is within your budget. We write and confirm with you when we will come to your home, and then we call you to confirm that we will be there when we say we will. 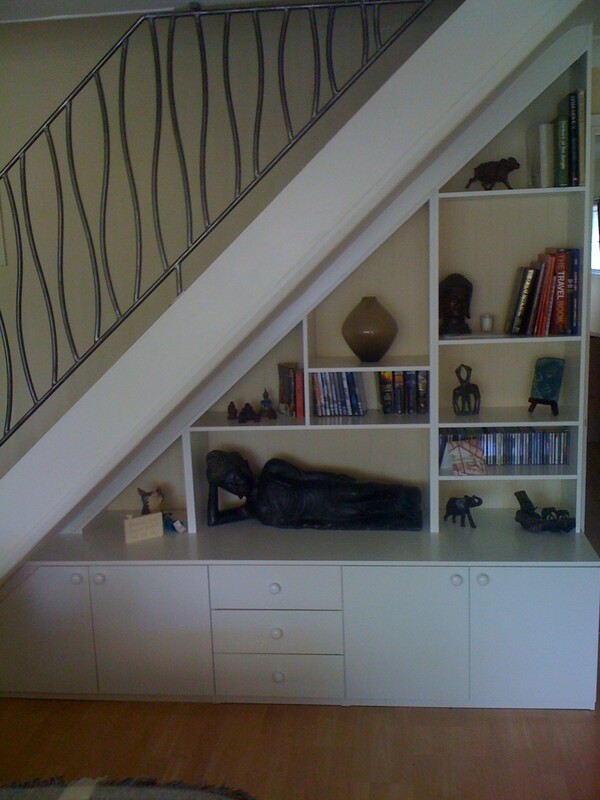 We come to your home to help you design the shelving arrangement and to select the best finishes. 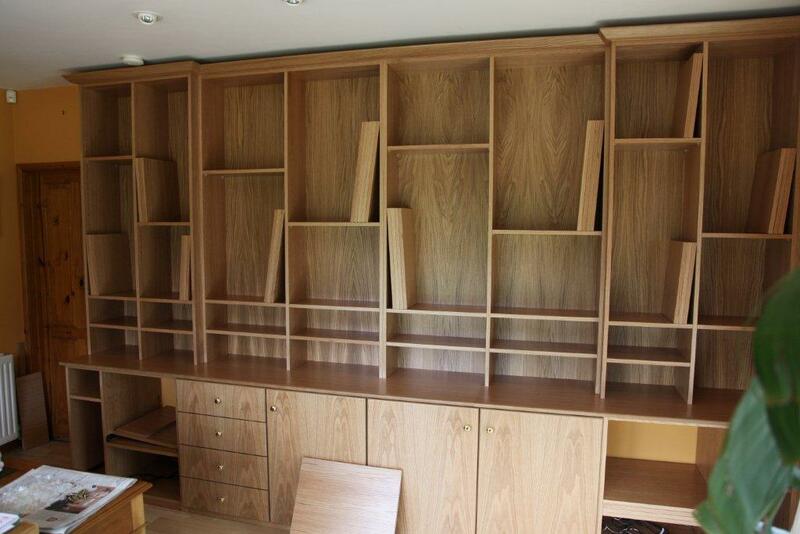 We make a date to fit the furniture for you and we stick to it - fitted in one day on the day we promise. 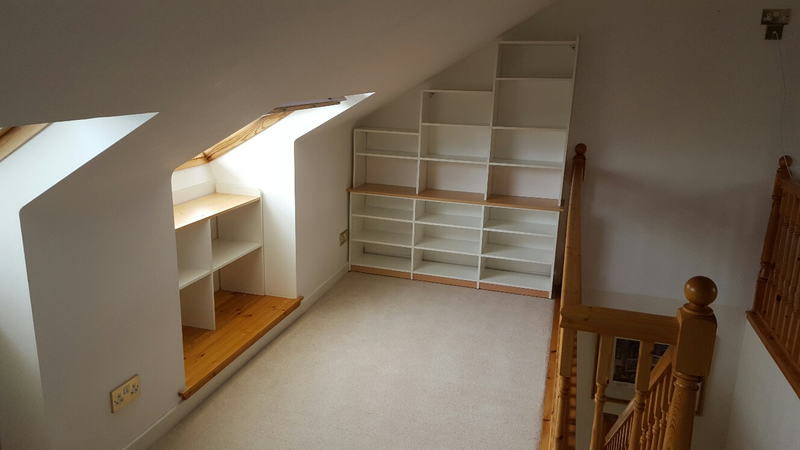 We fit shelving arrangements with no mess and no frustration about packaged furniture that never quite fits together as one might expect! The craftsman who has taken your first enquiry is typically the person who will design the furniture with you, and will then come and fit it with you. So you have continuity of contact, and you know that you are dealing with someone who knows what they are doing.. not an call centre, and not admin staff. It is these types of things that ensure that we have received such postive feedback, and repeat custom over the years, and it is this kind of service, which we know that any potential customer of Shelvex will appreciate. We look forward to hearing from you - call anytime on 01628 522476!